There are plenty of organizations today that keep an antiquated paper-based method for asset inspection. The latter is described by many people as multifaceted and multiple aspects in a normal organizational workflow that will scrutinize at every area of the business. The inspection of tangible assets involves a rigorous and a complex process as it is a form of audit evidence. It takes aggressive action towards the efficiency of the business process. It can also use a huge amount of operational budgets while continually stressing out the business. It can weaken the ability of the organization to create optimal asset maintenance and investment decisions. Inspection management definitely entails an all-inclusive and exhaustive methodological system of a meticulous inspection of a company’s asset. Thus, paper-based inspection processes are inefficient method or approach to asset inspection. It fails to reveal different risks in the business organization such as the factors listed below. Other than these factors, the manual process or the paper-based approach can incur issues in compliance, health and safety regulations due to clerical error or mishaps. With this concern, valuable and viable considerations are discussed in the next paragraphs. These key points enable an inspection management system to be reshaped into a strategic application that revolutionizes the efficiency of the inspection process. Therefore, bringing value to the business and making relevant returns up to the bottom level. The inspection management system involves modern applications that optimize the entire asset tracking. 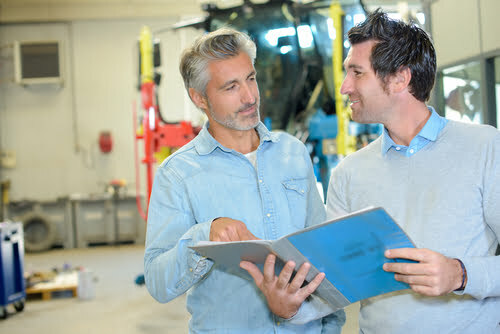 It tackles the best software application technologies to meet the needs of organizations today in managing the usual maintenance and safety inspection process applied to capital asset machinery and equipment. In this regard, the entire process is taken online. Thus, it results in a fully integrated asset lifecycle management. This further means that best application is employed such as property management software, asset management software, property inspection software, and asset tracking software. This software integration establishes and maintains a unified system of processes and data sources that are greatly important in the effective management of today’s businesses. The entire inspection management functionality includes retention, collection, and availability of all important inspection data across the system. In conclusion, the inspection management system eradicates the use of paper as the recording and storage media for inspection data, also the resource that is needed to copy key data from paper into electronic media like custom databases and spreadsheets. The management of the inspection process solutions includes three phases that are listed below. The pre-inspection step involves planning, authoring, and scheduling while during the inspection phase, data are collected and uploaded. Hence, it triggers the post-inspection stage that could go from validation to reporting. Everything is done through the automated inspection process. You will no longer be having a hard time and stressing yourself and your employees with the manual process. With this automated system, you will be able to work faster, no mishaps, and absolutely cost-effective. This continually developing inspection database software provides new innovations and developing perspectives, technologies and tools used as well as identifying the popular trends and hidden insights. The advancement of automated inspection process covers comprehensive aspects that may have been overlooked or unseen with the manual process. In this way, your business will definitely deliver great advantages over those paper-based procedure companies. You are hitting various aspects in one application. It covers everything and assures you that you are doing an efficient process. Comindware Tracker offers a wide variety of workflow management solutions that can greatly help your business success. The tracker delivered transparency in the workflow and the accountability in the business processes that develops highly developed and progressive businesses. The primary benefits of the Comindware workflow software include a fast workflow setup, integrated document and data management, and advanced analytics and reporting for effective workflow management, and other effective solutions in the business growth. Moreover, the workflow management system creates a smooth and quick process with no interruption to any concurrent activities. It also ensures fast delivery of process implementation and reduces the business expenses.